One of the best strategies to promote the integral development of communities is to promote tourism as the axis of economic development. 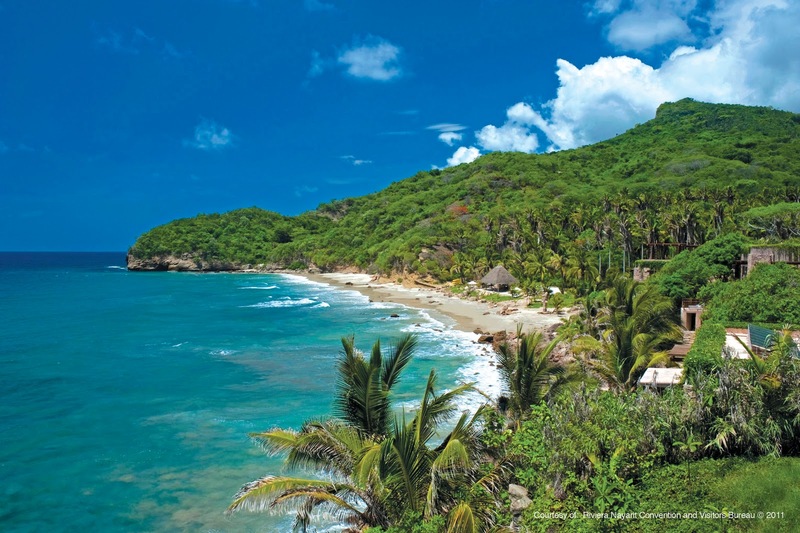 The Convention and Visitors Bureau of Riviera Nayarit is working for the people. The Convention and Visitors Bureau (CVB) of Riviera Nayarit is working intensely to promote tourism in the coast of Nayarit, seeking for a further increase in the integral development of the entire state of Nayarit. “The Convention and Visitors Bureau (CVB) of Riviera Nayarit is a public non-profit association dedicated exclusively to promoting tourism through a brand that encompasses the entire coast of Nayarit, from its southern border with Jalisco in Nuevo Vallarta to Novillero, next to bordering Sinaloa on the North, and it also includes the promotion of historic and cultural sites”, stated the President of the CVB of Riviera Nayarit, Fernando González Ortega. “According to the INEGI (National Institute of Statistics and Geography), there are 2,500 municipalities in Mexico, out of which only are 70 that are fully identified with tourism. In these municipalities, the quality of life of their people is better when compared to other locations. Actually, out of the top 100 municipalities that offer the highest quality of life, 70 are dedicated to tourism”, said last month the National President of the Mexican Association of Hotels and Motels, Armando Uribe de la Cruz, upon taking position as the head of the board of directors of their chapter in Compostela. The European Parliament has stated that some of the positive aspects that tourism brings to developing countries are a greater protection of the environment, culture and architectural heritage, as well as important democratic reforms, development of public health policies and economic growth. “To attract visitors, the CVB has made increasing PR efforts, and the El Universal newspaper published an article on the Huiciol community in Aguamilpa. Univision will visit the historic Port of San Blas, and Gringo en Mexico will tour Santiago Ixcuintla and Mexaltitán, while the Italian TV produced a show in Tepic, Santa Maria del Oro and Novillero, and the American broadcaster Wealth TV dedicated a program to Jala and Los Toriles”, said in an interview Gonzalez Ortega on the work being made to support all the people of Nayarit. Through advertising campaigns that are designed in conjunction with the Federal Government through the Ministry of Tourism and the Mexican Council for the Promotion of Tourism (CPTM), the State Government through its Ministry of Tourism, the CVB of Riviera Nayarit has successfully influenced travel decisions of potential visitors. Support of events in Riviera Nayarit Convention is of significant value for attracting the attention of leaders who later become touristic ‘ambassadors’ or result in new investment for the rest of the State, just like it happened recently with the visit of the leaders of the textile industry this October. The Riviera Nayarit CVB is working closely with the Government of Roberto Sandoval and shares the same goal: to benefit the People of Nayarit.